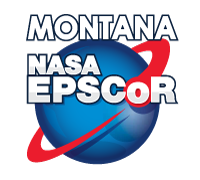 NASA EPSCoR research priorities are defined by the Mission Directorates (Aeronautics Research, Human Exploration & Operations, Science, and Space Technology), and NASA’s ten Centers. Each Mission Directorate and Center covers a major area of the Agency’s research and technology development efforts. Research priorities for each of the Mission Directorates (includes Centers) are summarized below; please note the NASA Point of Contact (POC) for each Mission Directorate and Center. · The National Aeronautics and Space Administration (NASA), Headquarters, Aeronautics Research Mission Directorate (ARMD) Current Year version of the NASA Research Announcement (NRA) entitled, "Research Opportunities in Aeronautics (ROA)” has been posted on the NSPIRES web site at http://nspires.nasaprs.com (select “Solicitations” and then “Open Solicitations”). Detailed requirements, including proposal due dates are stated in appendices that address individual thrust areas. These appendices will be posted as amendments to the ROA NRA and will be published as requirements materialize throughout the year. The Human Research Program (HRP) is focused on investigating and mitigating the highest risks to human health and performance in order to enable safe, reliable, and productive human space exploration. The HRP budget enables NASA to resolve health risks in order for humans to safely live and work on missions in the inner solar system. HRP conducts research, develops countermeasures, and undertakes technology development to address human health risks in space and ensure compliance with NASA's health, medical, human performance, and environmental standards. To apply this knowledge and technology to improve our nation's competitiveness, education, and the quality of life on Earth. Fundamental Space Biology Science Plan (PDF, 7.4 MB). The Physical Science Research Program, along with its predecessors, has conducted significant fundamental and applied research, both which have led to improved space systems and produced new products offering benefits on Earth. NASA's experiments in various disciplines of physical science reveal how physical systems respond to the near absence of gravity. They also reveal how other forces that on Earth are small compared to gravity, can dominate system behavior in space. The Physical Science Research Program also benefits from collaborations with several of the International Space Station international partners—Europe, Russia, Japan, and Canada—and foreign governments with space programs, such as France, Germany and Italy. The scale of this research enterprise promises new possibilities in the physical sciences, some of which are already being realized both in the form of innovations for space exploration and in new ways to improve the quality of life on Earth. · Spacecraft: Guidance, navigation and control; thermal; electrical; structures; software; avionics; displays; high speed re-entry; modeling; power systems; interoperability/commonality; advanced spacecraft materials; crew/vehicle health monitoring; life support. · Propulsion: Propulsion methods that will utilize materials found on the moon or Mars, “green” propellants, on-orbit propellant storage, motors, testing, fuels, manufacturing, soft landing, throttle-able propellants, high performance, and descent. · Robotic Systems for Precursor Near Earth Asteroid (NEA) Missions: Navigation and proximity operations systems; hazard detection; techniques for interacting and anchoring with Near Earth Asteroids; methods of remote and interactive characterization of Near Earth Asteroid (NEA) environments, composition and structural properties; robotics (specifically environmental scouting prior to human arrival and later to assist astronauts with NEA exploration); environmental analysis; radiation protection; spacecraft autonomy, enhanced methods of NEA characterization from earth-based observation. · Robotic Systems for Lunar Precursor Missions: Precision landing and hazard avoidance hardware and software; high-bandwidth communication; in-situ resource utilization (ISRU) and prospecting; navigation systems; robotics (specifically environmental scouting prior to human arrival, and to assist astronaut with surface exploration); environmental analysis, radiation protection. · Data and Visualization Systems for Exploration: Area focus on turning precursor mission data into meaningful engineering knowledge for system design and mission planning of lunar surface and NEAs. Visualization and data display; interactive data manipulation and sharing; mapping and data layering including coordinate transformations for irregular shaped NEAs; modeling of lighting and thermal environments; simulation of environmental interactions including proximity operations in irregular micro-G gravity fields and physical stability of weakly bound NEAs. The Science Mission Directorate (SMD) has developed science objectives and programs to answer fundamental questions in Earth and space sciences in the context of our national science agenda. The knowledge gained by researchers supporting NASA’s Earth and space science program helps to unravel mysteries that intrigue us all. · What drives variations in the Sun, and how do these changes impact the solar system and drive space weather? · How and why are Earth’s climate and environment changing? · How did our solar system originate and change over time? · How did the universe begin and evolve, and what will be its destiny? · How did life originate, and are we alone? Heliophysics encompasses science that improves our understanding of fundamental physical processes throughout the solar system, and enables us to understand how the Sun, as the major driver of the energy throughout the solar system, impacts our technological society. The scope of heliophysics is vast, spanning from the Sum’s interior to Earth’s upper atmosphere, throughout interplanetary space, to the edges of the heliosphere, where the solar wind interacts with the local interstellar medium. Heliophysics incorporates studies of the interconnected elements in a single system that produces dynamic space weather and that evolves in response to solar, planetary, and interstellar conditions. · What causes the Sun to vary? · How do the geospace, planetary space environments and the heliosphere respond? · What are the impacts on humanity? See Section 4.1 of the NASA 2014 Science Plan for specifics, including missions currently in operation, in formulation or development, and planned for the future. Our planet is changing on all spatial and temporal scales and studying the Earth as a complex system is essential to understanding the causes and consequences of climate change and other global environmental concerns. The purpose of NASA’s Earth science program is to advance our scientific understanding of Earth as a system and its response to natural and human-induced changes and to improve our ability to predict climate, weather, and natural hazards. · How is the global Earth system changing? · What causes these changes in the Earth system? · How will the Earth system change in the future? · How can Earth system science provide societal benefit? Understanding the complex, changing planet on which we live, how it supports life and how human activities affect its ability to do so in the future is one of the greatest intellectual challenges facing humanity. It is also one of the most challenges for society as it seeks to achieve prosperity, health, and sustainability. The latter addresses the need for continuity of a comprehensive set of key climate monitoring measurements, which are critical to informing policy and action, and which other agencies and international partners had not planned to continue. NASA’s ability to view the Earth from a global perspective enables it to provide a broad, integrated set of uniformly high-quality data covering all parts of the planet. NASA shares this unique knowledge with the global community, including members of the science, government, industry, education, and policy-maker communities. See Section 4.2 of the NASA 2014 Science Plan for specifics, including missions currently in operation, in formulation or development, and planned for the future. Planetary science is a grand human enterprise that seeks to understand the history of our solar system and the distribution of life within it. The scientific foundation for this enterprise is described in the NRC planetary science decadal survey, Vision and Voyages for Planetary Science in the Decade 2013-2022 (http://www.nap.edu/catalog/13117/vision-and-voyages-for-planetary-science-in-the-decade-2013-2022). Planetary science missions inform us about our neighborhood and our own origin and evolution; they are necessary precursors to the expansion of humanity beyond Earth. Through five decades of planetary exploration, NASA has developed the capacity to explore all of the objects in our solar system. Future missions will bring back samples from some of these destinations, allowing iterative detailed study and analysis back on Earth. In the future, humans will return to the Moon, go to asteroids, Mars, and ultimately other solar system bodies to explore them, but only after they have been explored and understood using robotic missions. · How did our solar system form and evolve? · Is there life beyond Earth? · What are the hazards to life on Earth? · Explore and find locations where life could have existed or could exist today. In selecting new missions for development, NASA’s Planetary Science Division strives for balance across mission destinations, using different mission types and sizes. Achievement of steady scientific progress requires a steady cadence of missions to multiple locations, coupled with a program that allows for a consistent progression of mission types and capabilities, from small and focused, to large and complex, as our investigations progress. The division also pursues partnerships with international partners to increase mission capabilities and cadence and to accomplish like-minded objectives. See Section 4.3 of the NASA 2014 Science Plan for specifics, including missions currently in operation, in formulation or development, and planned for the future. Astrophysics is the study of phenomena occurring in the universe and of the physical principles that govern them. Astrophysics research encompasses a broad range of topics, from the birth of the universe and its evolution and composition, to the processes leading to the development of planets and stars and galaxies, to the physical conditions of matter in extreme gravitational fields, and to the search for life on planets orbiting other stars. In seeking to understand these phenomena, astrophysics science embodies some of the most enduring quests of humankind. Through its Astrophysics Division, NASA leads the nation on a continuing journey of transformation. From the development of innovative technologies, which benefit other areas of research (e.g., medical, navigation, homeland security, etc. ), to inspiring the public worldwide to pursue STEM careers through its stunning images of the cosmos taken with its Great Observatories, NASA’s astrophysics programs are vital to the nation. · How does the universe work? The scientific priorities for astrophysics are outlined in the NRC decadal survey New Worlds, New Horizons in Astronomy and Astrophysics (http://www.nap.edu/catalog/12951/new-worlds-new-horizons-in-astronomy-and-astrophysics). These priorities include understanding the scientific principles that govern how the universe works; probing cosmic dawn by searching for the first stars, galaxies, and black holes; and seeking and studying nearby habitable planets around other stars. The multidisciplinary nature of astrophysics makes it imperative to strive for a balanced science and technology portfolio, both in terms of science goals addressed and in missions to address these goals. All the facets of astronomy and astrophysics—from cosmology to planets—are intertwined, and progress in one area hinges on progress in others. However, in times of fiscal constraints, priorities for investments must be made to optimize the use of available funding. NASA uses the prioritized recommendations and decision rules of the decadal survey to set the priorities for its investments. Field Infrared Survey Telescope (WFIRST), the number one priority for large-scale missions of the decadal survey. NASA plans to be prepared to start a new strategic astrophysics mission when funding becomes available. NASA also plans to identify opportunities for international partnerships, to reduce the Agency’s cost of the mission concepts identified, and to advance the science objectives of the decadal survey. NASA will also augment the Astrophysics Explorer Program to the extent that the budget allows. Furthermore, NASA will continue to invest in the Astrophysics Research Program to develop the science cases and technologies for new missions and to maximize the scientific return from operating missions. See Section 4.4 of the NASA 2014 Science Plan for specifics, including missions currently in operation, in formulation or development, and planned for the future. Space Technology Mission Directorate (STMD) expands the boundaries of the aerospace enterprise by rapidly developing, demonstrating, and infusing revolutionary, high-payoff technologies through collaborative partnerships. STMD employs a merit-based competition model with a portfolio approach, spanning a wide range of space technology discipline areas and technology readiness levels. Research and technology development takes place at NASA Centers, academia, and industry, and leverages partnerships with other government agencies and international partners. The National Aeronautics and Space Administration (NASA) Space Technology Mission Directorate (STMD) current year version of the NASA Research Announcement (NRA) entitled, "Space Technology Research, Development, Demonstration, and Infusion” has been posted on the NSPIRES web site at http://nspires.nasaprs.com (select “Solicitations” and then “Open Solicitations”). The NRA provides detailed information on specific proposals being sought across STMD programs. Examples of Center research interest areas include these specific areas from the following Centers. · Systems Robust to Extreme Environments - materials and design approaches that will preserve designed system properties and operational parameters (e.g. mechanical, electrical, thermal), and enable reliable systems operations in hostile space environments. · CubeSats - Participating institutions will develop CubeSat/Smallsat components, technologies and systems to support NASA technology demonstration and risk reduction efforts. Student teams will develop miniature CubeSat/Smallsat systems for: power generation and distribution, navigation, communication, on-board computing, structures (fixed and deployable), orbital stabilization, pointing, and de-orbiting. These components, technologies and systems shall be made available for use by NASA for integration into NASA Cubesat/Smallsats. They may be integrated into complete off-the-shelf “CubeSat/Smallsat bus” systems, with a goal of minimizing “bus” weight/power/volume/cost and maximizing available “payload” weight/power/volume. NASA technologists will then use these components/systems to develop payloads that demonstrate key technologies to prove concepts and/or reduce risks for future Earth Science, Space Science and Exploration/Robotic Servicing missions. POC: Thomas P. Flatley (Thomas.P.Flatley@nasa.gov). · Integrated Photonic components and systems - Integrated photonic components and systems for Sensors, Spectrometers, Chemical/biological sensors, Microwave, Sub-millimeter and Long-Wave Infra-Red photonics, Telecom- inter and intra satellite communications. Statistical approaches to tackle radiation hardness assurance (i.e., total dose, displacement damage, and/or single-event effects) for high-risk, low-cost missions. The Sciences and Exploration Directorate at NASA Goddard Space Flight Center (http://science.gsfc.nasa.gov) is the largest Earth and space science research organization in the world. Its scientists advance understanding of the Earth and its life-sustaining environment, the Sun, the solar system, and the wider universe beyond. All are engaged in the full life cycle of satellite missions and instruments from concept development to implementation, analysis and application of the scientific information, and community access and services. The Earth Sciences Division plans, organizes, evaluates, and implements a broad program of research on our planet's natural systems and processes. Major focus areas include climate change, severe weather, the atmosphere, the oceans, sea ice and glaciers, and the land surface. To study the planet from the unique perspective of space, the Earth Science Division develops and operates remote-sensing satellites and instruments. We analyze observational data from these spacecraft and make it available to the world's scientists and policy makers. The Division conducts extensive field campaigns to gather data from the surface and airborne platforms. The Division also develops, uses, and assimilates observations into models that simulate planetary processes involving the water, energy, and carbon cycles at multiple scales up to global. POC: Eric Brown de Colstoun (eric.c.browndecolsto@nasa.gov ). The Heliophysics Science Division conducts research on the Sun, its extended solar-system environment (the heliosphere), and interactions of Earth, other planets, small bodies, and interstellar gas with the heliosphere. Division research also encompasses Geospace, Earth's magnetosphere and its outer atmosphere, and Space Weather—the important effects that heliospheric disturbances have on spacecraft and terrestrial systems. Division scientists develop spacecraft missions and instruments, systems to manage and disseminate heliophysical data, and theoretical and computational models to interpret the data. Possible heliophysics-related research include: advanced software environments and data-mining strategies to collect, collate and analyze data relevant to the Sun and its effects on the solar system and the Earth (“space weather”); and advanced computational techniques, including but not limited to parallel architectures and the effective use of graphics processing units, for the simulation of magnetized and highly dynamic plasmas and neutral gases in the heliosphere. POC: Doug Rabin (Douglas.Rabin@nasa.gov). The Solar System Exploration Division builds science instruments and conducts theoretical and experimental research to explore the solar system and understand the formation and evolution of planetary systems. Laboratories within the division investigate areas as diverse as astrochemistry, planetary atmospheres, extrasolar planetary systems, earth science, planetary geodynamics, space geodesy, and comparative planetary studies. To study how planetary systems form and evolve, division scientists develop theoretical models as well as the investigations and space instruments to test them. The researchers participate in planetary and Earth science missions, and collect, interpret, and evaluate measurements. POC: Lora Bleacher (Lora.V.Bleacher@nasa.gov). Scientists in all four divisions publish research results in the peer-reviewed literature, participate in the archiving and pubic dissemination of scientific data, and provide expert user support. Education efforts in all science divisions seek to develop interest in and understanding of the science at GSFC by K-12 educators and students and the development of future scientist and computer scientists at the undergraduate and graduate level. Outreach efforts in all four science divisions raise public awareness of the projects and missions in which we are involved, the research we conduct, and the associated benefits to society. Ames research Center enables exploration through selected development, innovative technologies, and interdisciplinary scientific discovery. Ames provides leadership in the following areas: astrobiology; small satellites; entry decent and landing systems; supercomputing; robotics and autonomous systems; life Sciences and environmental controls; and air traffic management. • A substantial portion of pre-launch processing involves the integration of spacecraft assemblies to each other or to the ground systems that supply the commodities, power or data. Each stage or payload requires an interface that connects it to the adjacent hardware which includes flight critical seals or connectors and other components. Development and adoption of simplified, standardized interfaces holds the potential of reducing the cost and complexity of future space systems, which increases the funding available for flight hardware and drives down the cost of access to space for everyone. · Kennedy Space Center (KSC) researchers develop many new technologies and make many scientific breakthroughs on a regular basis. While all are developed for NASA’s space exploration mission, some also have the potential to provide benefit here on Earth in commercial applications. As a result, the KSC Technology Transfer Office (TTO) patents these technologies and makes them available to the private sector for commercialization. However, several KSC patented technologies are still in the early stages of development, e.g. Technology Readiness Levels 2- 3. As such, they require a significant amount of further development before they can be used in any application, whether it is a NASA space application or a commercial application. In some cases, KSC researchers are not able to continue developing some of these early-stage technologies due to a lack of NASA funding. Likewise, private sector companies often cannot fund the development due to the risk associated with developing early-stage technologies regardless of their commercial potential. As a result, KSC has early-stage patented technologies whose development has stopped despite their possible commercial benefit here on Earth and use to NASA. In response, the KSC TTO has partnered with the EPSCoR program to include two of its early-stage patented technologies in this year’s EPSCoR RFP as topic areas. We are seeking proposals to further develop these technologies in a way that demonstrates their use in commercial applications; and NASA applications as well if the technology has dual use potential. The RFP contains all publically available information and references to available patent information for these technologies. Additional information will only be provided under a Non-Disclosure Agreement with KSC. Universities awarded funding for these topic areas must obtain an Evaluation License Agreement from KSC TTO. The license is required before a university can perform awarded work with a KSC patented or patent-pending technology. An Evaluation License Agreement Application must be submitted to the KSC TTO by the university performing funded work before a License can be issued. Evaluation Licenses can be put in place in about 3 weeks after receipt of the application and there are no fees for these licenses. Universities performing work with KSC patented or patent-pending technologies must also sign a KSC Non-Disclosure Agreement (NDA). These documents are not required until after award, but all must be provided and signed before work can begin. KSC will provide applications and license templates to awarded universities upon award. Please contact Mr. G. Michael Lester, KSC R&T Partnership Manager, KSC Technology Transfer Office at email: gregory.m.lester@nasa.gov if you have any questions. · NASA Kennedy Space Center (KSC) is seeking to further develop its patented Self-Healing Wire Insulation technology for commercial and NASA applications. Wire insulation failure is considered a major problem on spacecraft and proposals should support concepts to develop self-healing technologies that have the ability to repair damaged wire insulation based on NASA KSC patented technologies. Of particular importance will be enhancing chemistries including microencapsulation needed to decrease the time to self-repair the wire insulation when damaged. It is important to consider the manufacturing process used to produce the insulated wire in the chemistries used to enhance the time to self-repair the insulation. These methods must produce a flexible hermetic seal over the damaged area. The physical and chemical properties of the final repair material should not notably decrease the insulating properties of the original insulating materials which can include Teflon, Kapton or other insulation materials. There are multiple commercial applications that can benefit from high performance, thin-film, self-healing/sealing systems. Aircraft and many industrial applications (such as manufacturing facilities and server farms) can contain miles of wire, much of which is buried inside structures making it very difficult to access for inspection and repair. However, in order to be used for these types of commercial applications, the Self-Healing Wire Insulation would have to be enhanced so that the self-healing properties of the film can take effect in a few minutes or less. Modifications or enhancements to the chemistry of the technology would likely be necessary to achieve this increased speed of repair. · NASA Kennedy Space Center (KSC) is seeking to further develop its patent pending DC-DC Transformer technology for commercial and NASA applications. The DC-DC Transformer operates by combining features of a homopolar motor and a homopolar generator, both DC devices, such that the output voltage of a DC power supply can be stepped up (or down) with a corresponding step down (or up) in current. This Transformer should be scalable to low megawatt levels, but it is more suited to high current than high voltage applications. This technology is a DC counterpart to the well-known AC transformer. While the initial tests were promising, the DC-DC Transformer would need additional work to improve its commercial viability, including optimization and scale-up for specific commercial applications. Currently, this DC-DC Transformer cannot compete with off-the-shelf, switching based, DC-DC converters in low power systems, but it may be a preferable alternative for use in high power applications. Significant additional development would be required to develop a Megawatt capable device, but for applications such as up-converting the voltage from a solar energy farm, it may outperform semi-conductor based devices in both cost and efficiency. However, analysis has shown that this DC-DC Transformer is better suited as a high current device. As a result, applications such as a high current interface for motors or magnets may be easier to meet than trying to reach the high voltages needed for power transmission. Patent pending. Patent application can be provided upon request but will require a Non-Discloser Agreement. iv. Audio Compression algorithms implementable in FPGAs. e. Human Systems Integration, Human Factors Engineering: state of the art in Usability and performance assessment methods and apparatus. The vast amount of propulsion system test data is collected via single channel, contact, intrusive sensors and instrumentation. Future propulsion system test techniques could employ passive nonintrusive remote sensors and active nonintrusive remote sensing test measurements over wide areas instead of at a few discrete points. Opportunities exist in temperature, pressure, stress, strain, position, vibration, shock, impact, and many other measured test parameters. The use of thermal infrared, ultraviolet, and multispectral sensors, imagers, and instruments is possible through the SSC sensor laboratory. 2. To develop intelligent components such as valves, tanks, etc. 6. To develop visualization and operator interfaces to effectively use the ISHM capability. Advances in non-destructive evaluation (NDE) technologies are needed for fitness-for-service evaluation of pressure vessels used in rocket propulsion systems and test facilities. NDE of ultra- high pressure vessels with wall thicknesses exceeding 10 inches require advanced techniques for the detection of flaws that may affect the safe use of the vessels. Innovative techniques will be required to test propulsion systems such as advanced chemical engines, single- stage-to-orbit rocket plane components, nuclear thermal, nuclear electric, and hybrids rockets. New and more cost- effective approaches must be developed to test future propulsion systems. The solution may be some combination of computational- analytical technique, advanced sensors and instrumentation, predictive methodologies, and possibly subscale tests of aspects of the proposed technology. Over 40 tons of liquefied gases are used annually in the conduct of propulsion system testing at the Center. Instrumentation is needed to precisely measure mass flow of cryogens starting with very low flow rates and ranging to very high flow rates under pressures up to 15,000 psi. Research, technology, and development opportunities exist in developing instruments to measure fluid properties at cryogenic conditions during ground testing of space propulsion systems. Both intrusive and nonintrusive sensors, but especially nonintrusive sensors, are desired. SSC is interested in new, innovative ground-test techniques to conduct a variety of required developmental and certification tests for space systems, stages/vehicles, subsystems, and components. Examples include better coupling and integration of computational fluid dynamics and heat transfer modeling tools focused on cryogenic fluids for extreme conditions of pressure and flow; advanced control strategies for non- linear multi-variable systems; structural modeling tools for ground-test programs; low-cost, variable altitude simulation techniques; and uncertainty analysis modeling of test systems. 6. The effects of a vehicle propulsion system on the surfaces of the Moon and Mars including the contaminations of those surfaces by plume constituents and associated propulsion system constituents. 1. An accurate analytical prediction tool to define convective ascent vehicle base heating for both single engine and multi- engine vehicle configurations. 2. An accurate analytical prediction tool to define plume induced environments associated with advanced chemical, electrical and nuclear propulsion systems. 3. A validated, user friendly free molecular flow model for defining plumes and plume induced environments for low density external environments that exist on orbit, as well as interplanetary and other planets. A large body of UV-Visible emission spectrometry experimentation is being performed during the 30 or more tests conducted each year on the Space Shuttle Main Engine at SSC. Research opportunities are available to quantify failure and wear mechanisms, and related plume code validation. Related topics include combustion stability, mixture ratio, and thrust/power level. Exploratory studies have been done with emission/absorption spectroscopy, absorption resonance spectroscopy, and laser induced fluorescence. Only a relatively small portion of the electromagnetic spectrum has been investigated for use in propulsion system testing and exhaust plume diagnostics/vehicle health management.